Amazing craftsman style home! Come see this beautiful property! Tons of custom details! Hardwoods throughout. Granite counters & custom cabinets in kitchen w/ship-lap ceilings. Double oven & SS appliances. Covered porch off kitchen overlooks expansive property. 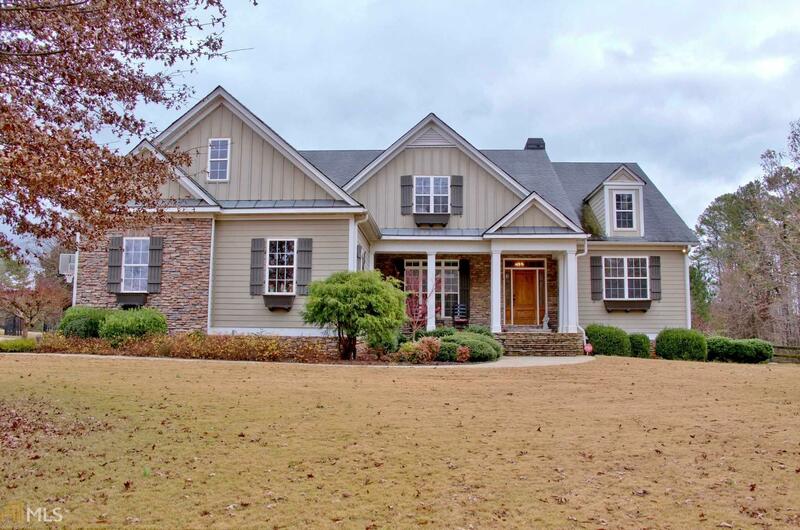 Master on main w/sitting room & huge double vanity master bath. 2 additional brd on main w/jack-jill bath. Bonus/Bdr upstairs w/attached bath & closet. Laundry chute. Huge basement w/another bdr w/attached bath & closet, home gym area, entertaining space, kitchenette, work space, storm/safe room. Salt water pool & koi pond. 10 beautiful acres w/3 stall horse barn & tack room. 3 pastures & riding arena. Spacious workshop & chicken coop. 4board farm fence makes this peaceful property extra private. Directions: From Redwine Rd... Turn Onto Harris Rd... Home Is On Right.